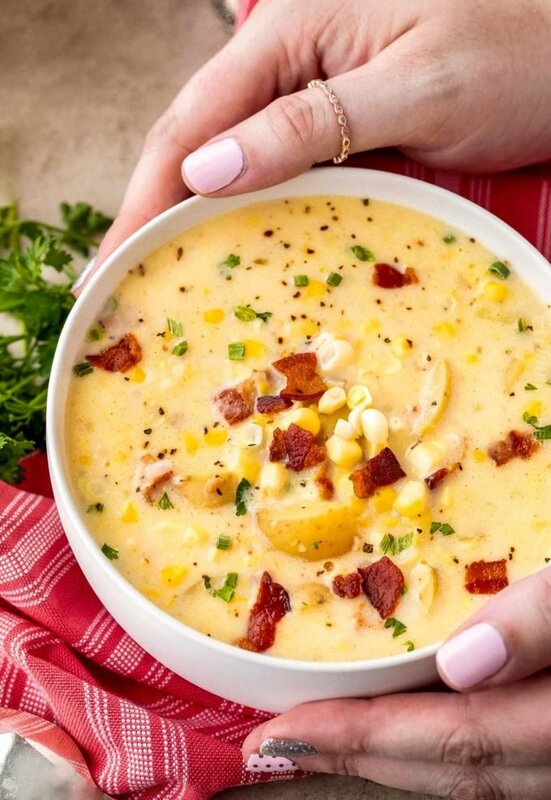 Cozy up to a big bowl of this homemade corn chowder! Easy to make with either fresh or frozen corn, it’s a great year-round soup! I cannot wait to get into soup season! Normally we eat soup year round, but this summer has been insanely hot. And sadly, it still is. Here is is mid-September, and we’ve only had 2 semi-cool days. I say bring on the chilly weather! There’s not a whole lot I love more than a thick and hearty soup… actually, a chowder. Chowders are so rich and stick-to-your-ribs fantastic! Skip adding the half and half during step #8. Instead, add it in when reheating the soup. Cool soup completely, then add to freezer-safe containers and freeze 1-2 months. To thaw, place containers in the refrigerator overnight or until thawed completely. Reheat in dutch oven or soup pot and once heated through, add half and half and stir to heat. Serve as directed. 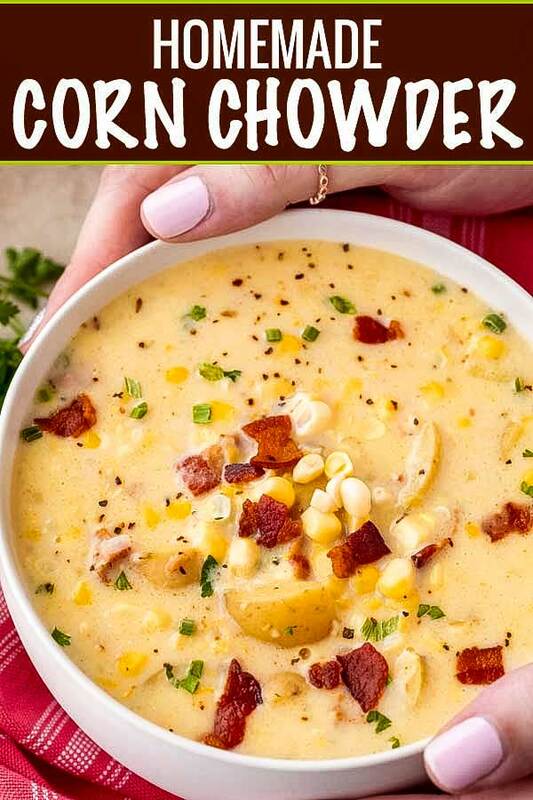 HOW CAN YOU MAKE CORN CHOWDER THICKER? I would say this chowder is about a medium thickness, but if you’d like it thicker, there are a few options. Puree more of the soup in the blender, or alternatively, mash some with a potato masher. Before adding in the half and half, whisk a tablespoon or so of cornstarch into the half and half, then add to the soup as directed. Add equal parts softened butter and flour and knead together with your fingers or a wooden spoon until a thick paste has formed. Add to the finished soup and stir until the heat has melted the butter. This is called a Buerre Manie and it’s a great way to thicken sauces, soups, roasts, etc. Absolutely! I get it, some days the last thing you want to do is stand by the stove for 30 minutes. On those days, the slow cooker is my best friend! 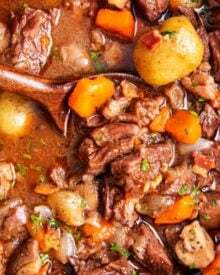 Slow cooker directions are listed below the recipe. 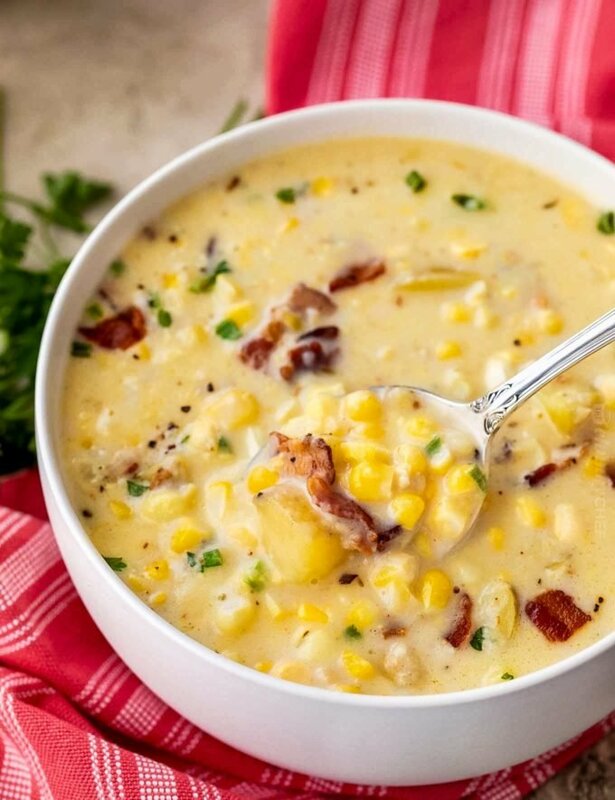 CAN YOU ADD CHICKEN OR CHEESE TO THIS CORN CHOWDER? Sure can! Sometimes I add about a cup or so of shredded cheddar cheese to the soup, or add a sprinkling of cheese when serving. Chicken is also a fabulous addition! For this, I like to use shredded chicken, from leftovers or a rotisserie chicken. Dutch Oven – My favorite soup pot! Immersion Blender – If you don’t have one, these are incredibly handy! 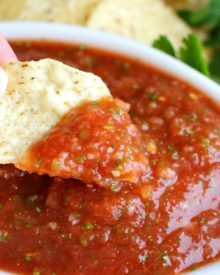 No need to transfer hot soups to a blender. Traditional Blender – This is my favorite traditional blender! 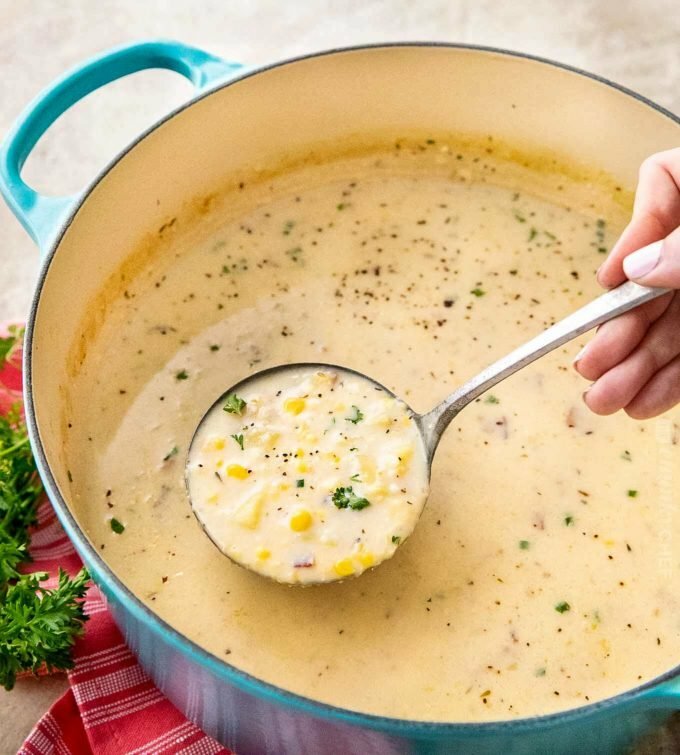 Cozy up to a big bowl of this homemade corn chowder! 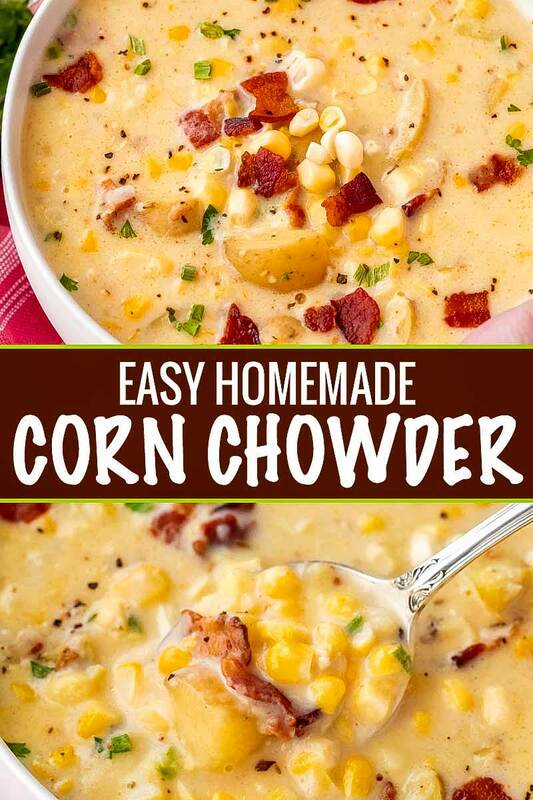 Easy to make with either fresh or frozen corn, it's a great year-round soup! Slice corn kernels off the cob and set aside. Take each ear of corn and hold it over a bowl. Use either the back of your knife or a spoon and scrape any remaining pulp and juice from the cobs. Cook bacon pieces in large heavy bottomed pot (like a dutch oven) over MED heat. Cook about 5-8 minutes, or until bacon is crisp. Use a slotted spoon to remove to a paper towel lined plate and set aside. Use a clean paper towel to absorb some of the bacon grease, reserving about 1 Tbsp of grease in the pot. Add butter and melt over MED heat. Add diced onions and cook about 5 minutes, until soft and translucent. Add garlic and flour and cook about 1 minute, stirring often. While whisking, pour in water and increase heat to MED-HIGH. Add in corn, potatoes, thyme, smoked paprika, and salt and pepper. Stir and bring to a low boil, then reduce heat to MED-LOW and simmer. Simmer, stirring every so often, for 15-20 minutes, until potatoes are fork tender. Use an immersion blender to blend about half the soup until smooth. Alternatively, remove about 3 cups of the soup to a blender and blend until smooth. Stir the blended soup back into the pot. Add in half and half, reserved corn juice, and about half the chives. Stir in and heat through. Serve sprinkled with remaining chives and cooked bacon pieces, if desired. Cook bacon in skillet. 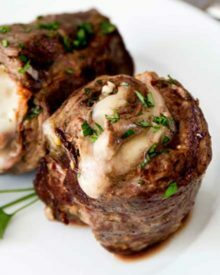 Add all ingredients (except half and half and chives) to a 6 qt or larger slow cooker. Stir well, cover and cook on LOW for 7-8 hours. Use immersion blender to blend about half the soup (or add 3 cups of soup to a blender and puree then add back to the slow cooker). Stir in half and half and chives, cover and cook another 10 minutes or so to heat through. 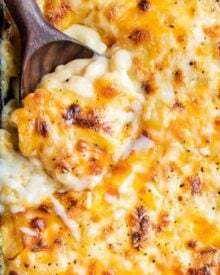 If using frozen or canned corn, add a drizzle of honey to replace the corn "milk". Crazy question… do I cook the corn before cutting it off the cob?? Can you use home grown corn from the freezer? If so about how many cups do you need. I would use about 4 cups. We added some Hatch green chilies, we kept everything else true to the recipe. Awesome! Hi! Looking forward to making this. Do you peel the potatoes? Thanks for your help! That’s completely up to you 🙂 I usually don’t, but that’s just because I hate peeling potatoes lol. Agree completely! I was hoping you were going to say no 😁 Thanks!!! Added small chunks of chicken breast. I have not made it yet, but I expect it to be delicious. I am actually salivating already! HAHA! 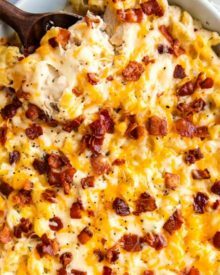 Your recipe is basically the same thing as what my grandparents made in their restaurant, minus the bacon crumbled on top. They used bacon grease. And their corn chowder is the “only” corn chowder I’ve ever liked — not even my mom’s was as good as her parents’!! LOL — Soooo THANK YOU for your recipe. I am making it tonight. And seeing as it only takes 50 minutes start to finish – I am happy to wait til 5 pm to start it. HAHA!!!!!!!!!!! 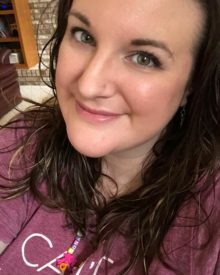 Amanda – this is Amazing! I had to make some mods due to my husband hating potatoes in soup (IKR?) so I blended up two cans of cream of potato instead of the 1 lb of yukons or reds, I used 4 cups of chicken broth (instead of water) because I added a whole shredded rotisserie chicken (we like thick soup) and let me tell you …. wow! I really appreciate the tip about the honey. I added that too as I used frozen corn from this past summer’s garden. My husband is no “soup fan” and he said this was “fabulous!” I agree! The whole family raved how delicious this chowder is. I heard “best chowder ever”! The immersion blender is a great idea. Thanks. Made the slow cooker version. was excellent! I made this tonight. It turned out so good. I used frozen corn and baked potatoes instead of fresh. I also used half chicken broth and half water. Make sure you add the honey if you use the frozen corn. It made a world of difference. The only change I would make is to dice a baked potato and add it in after using the immersion blender and before adding the half and half. But that is because I really like the potato chunks in my chowder. When do you add the the bacon back into the soup? Dumb question…when do you add back in the bacon? Only at the end? Not a dumb question at all 🙂 Yes, I add them at the end as a topping for the soup. 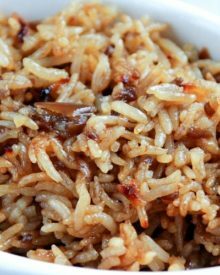 I added a bay leaf at the same time as the thyme, and it added a great flavor! I would use about 4 – 4.5 cups of frozen corn. Hi. How many servings does this recipe make? I love a good corn dish! This is going to be a must make at my house! This looks super comforting! Perfect for colder nights! Do you think this would still be good without the bacon? 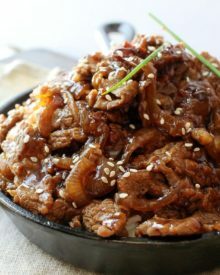 Looks so delicious but I don’t eat pork! 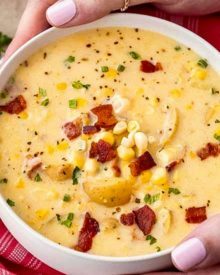 We don’t eat pork either over here, but corn chowder desperately needs the smoky flavor the bacon adds, I use turkey bacon instead and have also used vegan bacon although it didn’t give me that deep smoky flavor as the turkey bacon! 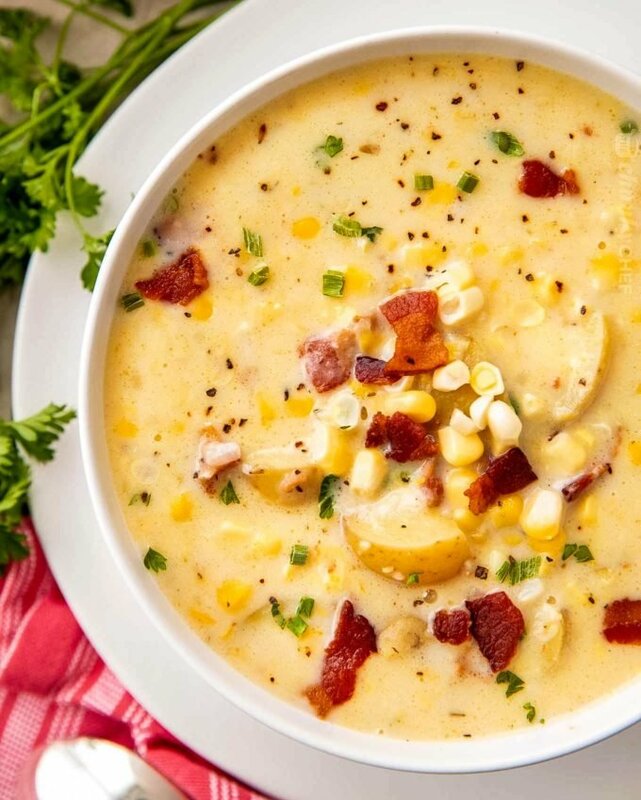 You could omit it altogether but corn chowder really is so much better with it! This is my type of comfort food! I can’t wait to try this out! This is comfort in a bowl! Would love to be having this for lunch today!